Please give your opinion as to the authenticity of this vase which I bought in an antique shop in Paris. 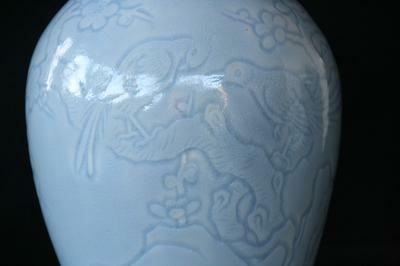 Sorry Shelley, I have never handled a real Yongzheng clair-de-lune vase, but the glaze and mark would be right. Not sure about the foot rim. 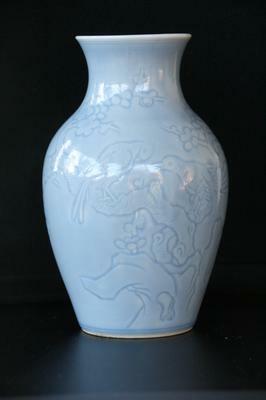 I'm afraid you will need someone with experience in polychrome items check its authenticity. 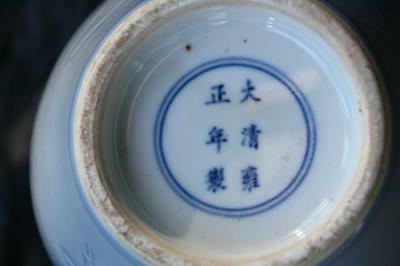 Could be late Qing dynasty. 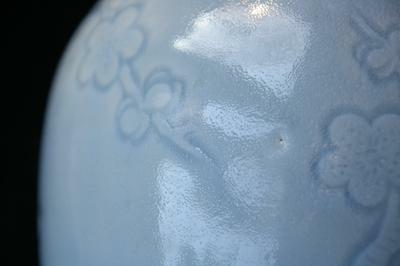 If you do an image search for "clair de lune glaze" you will find many items of this color.